In a bizarre case, several Indian newspapers reported Monday that a herd of donkeys was arrested by the police of the northern Indian state of Uttar Pradesh for chewing on ‘expensive plants’ outside the jail. Uttar Pradesh police, however, denied the charges and said the news was not true. In videos put out by the news agency Asian News International (ANI), the donkeys, said to be eight in number, were seen walking out of the prison gate in the district jail in Orai and were unaccompanied. Several reports stated that they were behind bars for four days after they were arrested on Nov.24 for apparently eating and destroying plants recently bought for five lakh rupees (more than $7,000). Indian newspaper Hindustan Times reported that they were held after their owner, Kamlesh, let them loose in spite of being warned that a senior officer was planning to plant some expensive plants, Urai jail head constable RK Mishra was quoted as saying. 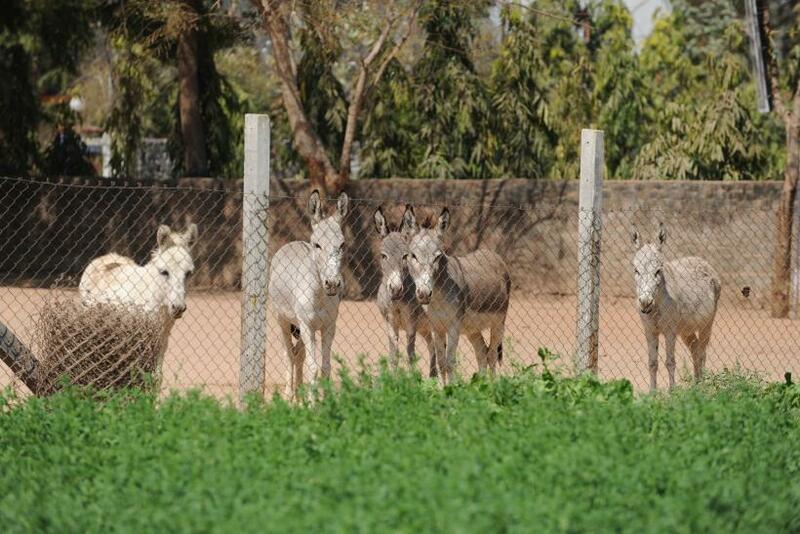 "These donkeys had destroyed some very expensive plants which our senior officer had arranged for planting inside the jail and despite warnings, the owner let his animals loose here so we detained the donkeys,” Mishra said. When Kamlesh went to request the police for their release they refused to let the animals go. The herd was then released Monday after a local politician from the ruling Bharatiya Janata Party (BJP), Shakti Gahoi, accompanied Kamlesh to the police and paid the bail amount. The authorities also said the detention was justified because of the threat the animals posed to children and the plants. “We made all the arrangements for them inside. They were fed two times a day,” said a jail official. However, a day after the reports emerged, the Uttar Pradesh police on its Twitter account said they had nothing to do with the arrest and told news broadcaster NDTV to check their facts the nest time. While the does seem bizarre, this is not the first time detaining animals is not a unique incident. In 2015, Indian police arrested a Pakistani ‘spy’ pigeon after it was seen carrying a "stamped message" on its body. The message was written partly in Urdu, the official language of Pakistan and also contained a Pakistani phone number. They then took the bird into custody and was logged as a "suspected spy" in the area's official police diary. The area where it was found was said to be close to the conflict-torn region of Jammu and Kashmir. Meanwhile, in 2013, a cat was detained near the city of Syktyvkar in the Komi province, Russia. The feline was reportedly carrying a few cellphones and chargers taped to its belly. Kenya's Donkey Meat - China's Hot New Import?